You don’t have to be a minimalist to appreciate taking time to do something right. Men these days are finding that slowing down and creating routines is part of what makes being a man worth it, and this is what this guide addresses. If you add giving yourself a wet shave at home to your routine, you will be rewarded with a face as smooth as a baby’s bottom in addition to an unbeatable feeling of satisfaction. As more barbers are going back to their roots and offering hot shaves in the shop, men are finding out just how good it feels to do it the old-fashioned way, a wet shave, but you need a good wet shave guide to do it right every time. Why not do it at home then? If you are reading this, you may be looking for answers on how to do traditional wet shaving at home since it can be intimidating. 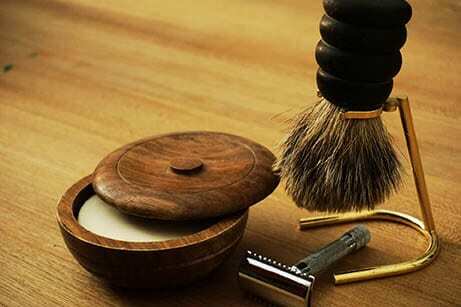 If you do it yourself, you will find that using a safety razor for the first time is not as difficult as it first seemed and that you need a wet shave guide. And if you are not feeling brave and want to stick with using a cartridge razor like a Gillette Fusion or similar, then a wet shave will still give you the closest and most satisfying shave of your life. How long does it take to do a proper traditional shave? Once you have your rhythm down, it shouldn’t take more than 15 to 20 minutes. Give yourself a little extra time in the morning and do it the right way. Before I get into the how-to wet shave guide, here is a table of all the wet shaving supplies you should think about getting to get you started. 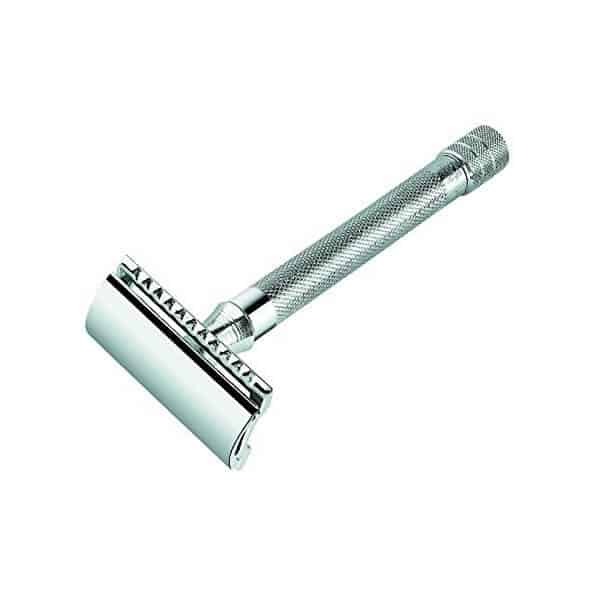 A classic, no frills double edge safety razor that is well balanced and efficient. 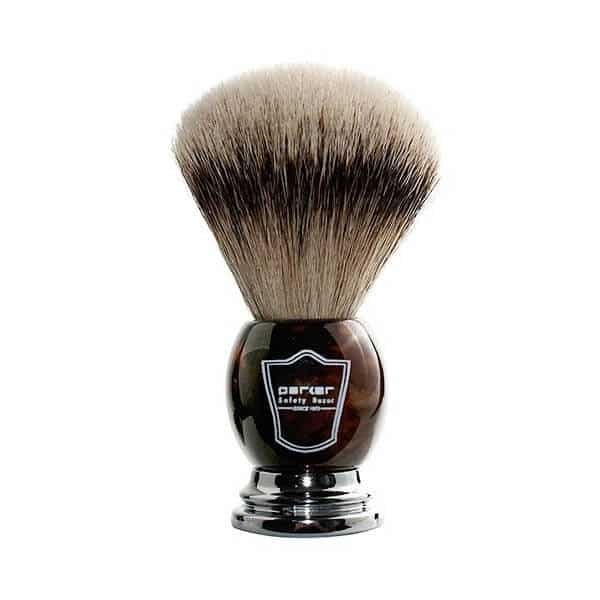 Top of the line quality Silvertip badger hair brush that you can have for years of shaving. Retains water and heat well. Very soft sensation when applying lather. Guys that love the classic, old school barbershop smell. Keep your lather going longer and hotter by using a scuttle bowl. 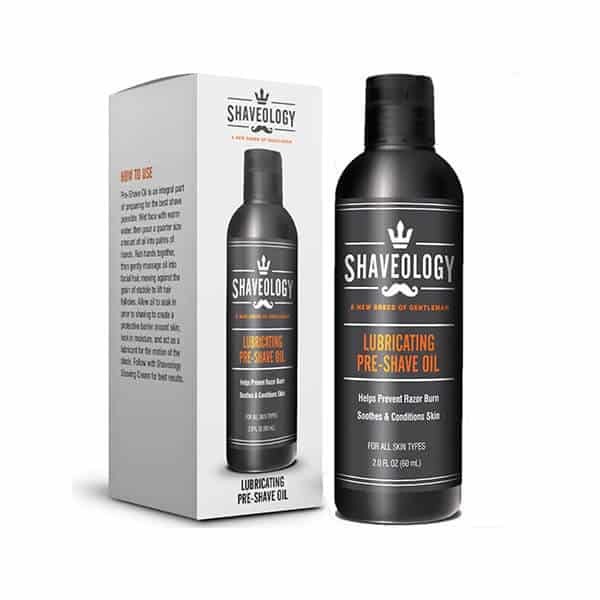 Prep your face with pre shave oil to lubricate and prevent razor burn. To get started on giving yourself a classic wet shave, you need the right gear. You’re only as good as your tools, so considering that your tools can really mess up your face, it really pays in this case to have the right ones! I like to say with most things to always spend as much as your budget allows. This is especially important when getting the gear for an old fashioned shave. Yes, there are some budget options, but you don’t want to go for the cheapest possible. You don’t have to spend more than you’re comfortable with, but the better your gear, the better your shave. Since we are talking about sharp objects against your face, you want to make sure that you don’t go so cheap that you end up with some scars. Not only that, but when you use good products it will be a much more enjoyable experience. In simple terms, you need a brush, shave soap, a razor, and water before you can begin using this wet shave guide. Let’s get into more detail about each one. 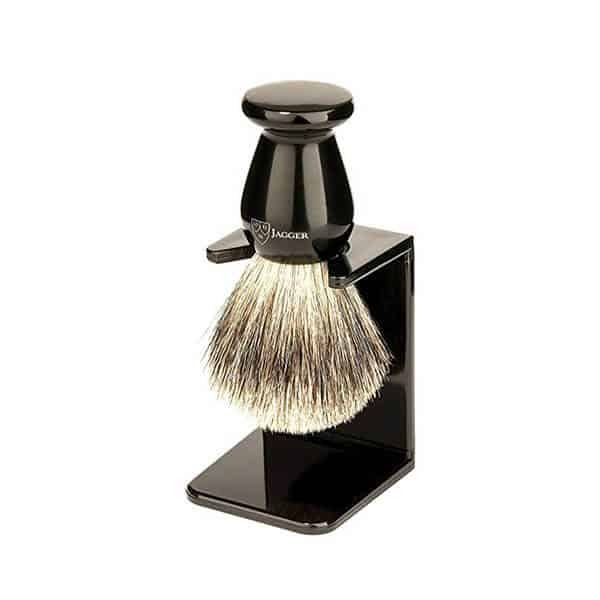 The best shaving brushes to use with this guide are made out of badger hair. Their hair is perfect for retaining water and heat making them perfect for a wet shave. Using hot water with a badger hair brush means that the lather will still be hot when you apply it to your face. The bristles are also soft to feel really nice when lathering up your beard for a wet shave. Comfort is just as important as performance. If you’re just trying to get the hairs off of your face, there are faster ways of doing it. So comfort does count. Get a brush that will feel good as well as work well. Since the hairs have a bit of texture, the brush also helps to gently exfoliate your face. Getting the dead skin removed opens up your pores, exposes the base of the follicles and ensures a very close finish that lasts longer than when you use a cartridge razor. There are three different grades to watch out for. Pure, Best and Silvertip. Most brushes you will find will be the Pure, which is the base. Those are definitely fine and good brands make good ones that don’t shed. The next level up is Best, which is softer than Pure and very good. The Cadillac of brushes is the Silvertip grade. This uses the softest and finest of badger hairs and retains water best. When buying a badger hair brush, go with the best one you can afford as you hope to have it for many years. Decades, together with this wet shave guide, you will continue to use it with proper care. It will likely not end up as an heirloom to be passed down, though. Even the most expensive ones will give out at some point. Especially if you are using it often. If you are concerned about animal cruelty or are a vegan, then there are synthetic hair shaving brushes out there that mimic badger hair. They are obviously badger friendly, so you can shave guilt free when using one. I have used both synthetic and badger, and there is a difference. Badger’s hair is much better, but that doesn’t mean that synthetic can’t do the job and do it well. This is the area where you especially don’t want to go too cheap. Cheap synthetic brushes are really terrible. They are uncomfortable to use and do not work well. It is better to opt out of doing a classic shave if a cheap synthetic brush is your only option. Again, you don’t have to spend a fortune, but don’t get the cheapest one out there. These brushes are a bit similar to the military style beard brushes with coarse bristles from wild boars. I have tried one once on a wet shave. Once. Never again. Unless you really like the feeling of rubbing your face raw, and then shaving with a razor over that raw skin, then by all means, go ahead. 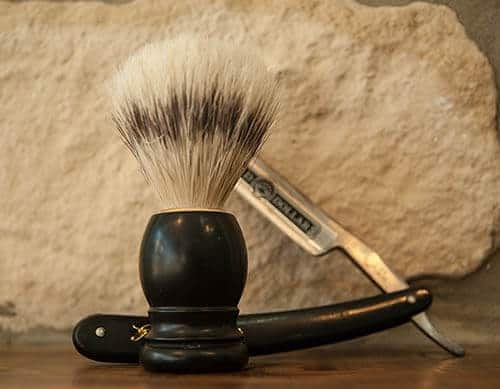 I almost didn’t bother mentioning this since I really don’t recommend you start with a boar bristle shaving brush since you may not go ahead with wet shaving after that. In my opinion, half of the point of doing a classic shave is for the comfort. It feels good to prep your face. Maybe to you that isn’t so important and it’s just to get the closest shave possible and comfort does not factor into it. 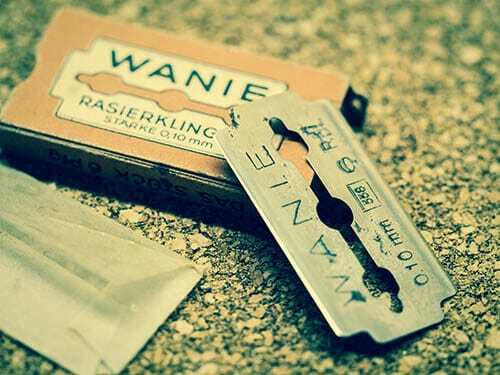 The second most important tool in your arsenal is the razor. Yes, the second most. The brush is actually the most important. If you use a good brush and do the prep right, then you could use a disposable two-blade cheapo razor and it will still be an excellent result. That said, invest a good razor, whether it is a cartridge, straight edge cutthroat or a double edge safety razor. When all of your tools are the highest quality you will be amazed at how easy and effective your wet shave at home becomes. If you decide to get a straight edge, there are two kinds. One that uses disposable blades and the one that needs to be honed and stropped. I use a disposable one in the shop, not only because I am required by state law to only use that kind for sanitary reasons, but also because taking care of a traditional straight edge is too much for me and will be for most people. Using a disposable blade is just as good as using a traditional for most people. Yes, you can hone an edge on a traditional that will be much finer than anything you can get from a machined disposable, but if you aren’t prepared to do the upkeep then you can do some serious damage to your face. A dull razor is far more dangerous than a sharp one. Though I don’t own a traditional straight edge anymore, I do kind of miss the Zen of honing a blade. There is something very relaxing about using a whetstone and slowly grinding down the blade to a fine edge. If you want to give it a shot then I applaud you for it and think you will get a lot out of the experience. It can be very rewarding. For those that want the efficiency of a straight edge without the maintenance or expertise, a nice middle ground is the traditional safety razor. It still requires some know how but is easily mastered. When done right it shouldn’t cause any cuts, nicks or irritation. If you don’t want to be bothered with any of that, then go ahead and use a cartridge system like a Gillette Fusion or something similar. The quality of the soap is also very important. Throw your aerosol canned shaving cream out as it is worthless. Their only purpose is to lubricate the skin so the razor doesn’t irritate you. It has nothing to do with a close shave. The problem is that these canned shaving creams and, even worse, gels do not hydrate the skin and hair. In fact, there are many enthusiasts that would consider using a shaving cream a dry shave since there isn’t enough water in them. Yes, they save time, but doing things the old way is not about saving time, it’s about doing things the right way. Using a good shaving soap or cream from a tube will lubricate the skin for a smooth shave, lather up well to keep the beard moistened and will leave your skin feeling like a million bucks after. Look for soaps with glycerin and around a 30-50% fat content. If you get a scented one, try to make sure it uses essential oils and is fragrance-free. Fragrances are usually chemicals that give the scent and are not good for your skin or lungs to breath. If you like no scent at all then there are good unscented soaps on the market. If your soap has a good fat content and lots of good oils, and you do the face prep properly, then you really don’t need a pre-shave oil. When you are just starting out and learning the ropes, then I do recommend it to hedge your bets. 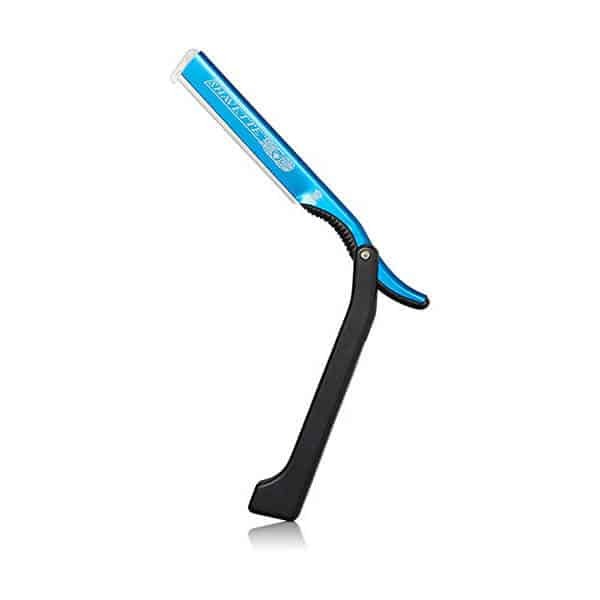 It will provide good lubrication and help the razor glide across your skin. To use it, make sure you put it on your face before using the hot towel. This will give it a chance to get absorbed into your skin before doing the soap. If the skin isn’t lubed up from it, then you’ll just spread it around your face and it is essentially wasted. Before you get your face ready, have your soap lathered and ready to apply. Time is of the essence here. 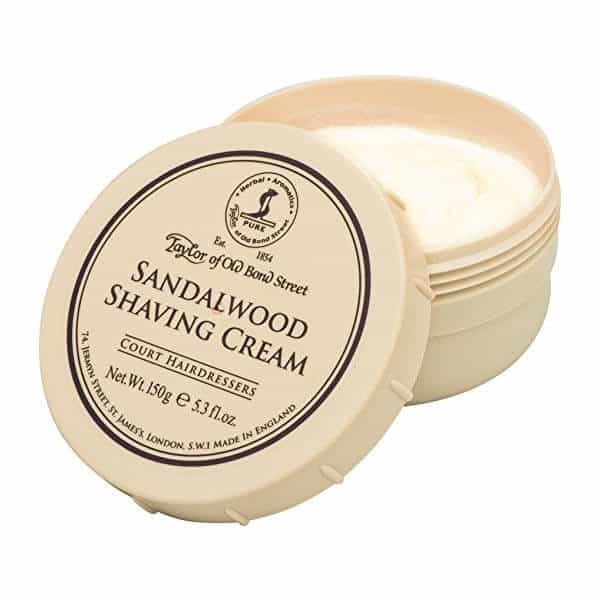 Take too long and your face will dry out, effectively undoing the effect of prepping your skin for a wet shave. 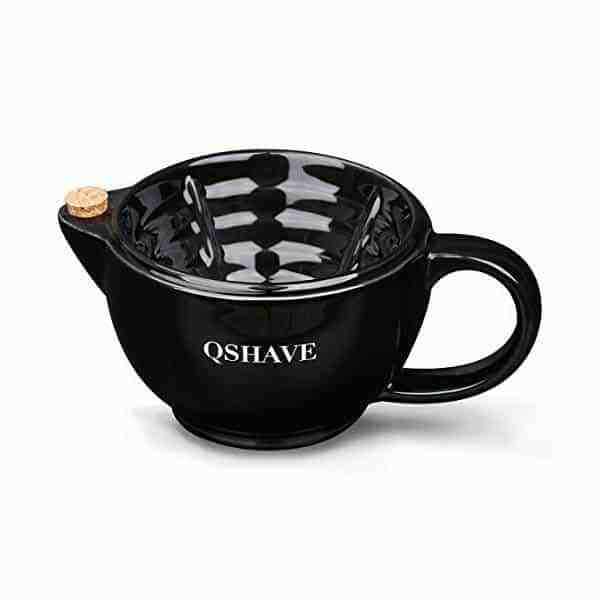 Place your disc of shaving soap in your bowl and lightly wet your brush with hot water. Piping hot water. It should be wet, but not dripping. Squeeze a little of the water to where it is just wet enough. Now in a circular motion start lathering the brush up with soap. Once the lather starts to form, start whipping it a bit. Almost like whipping cream, you want to get some volume. If it looks a little dry or it isn’t increasing in volume, then add a touch more water to the brush. Keep whipping until it literally looks like Cool Whip. if it seems a little dry add a touch more water. It should be somewhat wet still. This should take around 5 minutes to get to this point. Before you put blade to skin, you need to have your face prepped. Everything you do leading up to when you begin with the razor will determine how well this process goes. It pays to take your time here and do it right. Start with some pre-shave oil or cream. A little goes a long way to just put as much as the instructions recommend and rub into your face. Once your face is lubed up, take a hot towel compress and put it on your face. Leave it there for 3 or 4 minutes to allow the heat to penetrate and the pores to open up. Now it is time to get the wet shave lather on the face. Start under your chin and in a circular motion with the brush, begin to rub. Push it enough to where the bristles fan out and maintain that circular motion. This will start getting the lather going. Take the brush and grab some of the lather from under your chin and start spreading it on one cheek. Keep up with the circular motion. You really want to get the lather onto the skin and lift up the beard hairs. As you get more and more lather from the process, start another cheek. At this point, you may need the brush a little wetter, so add a touch more water and then go back under the chin again. Once you have a nice lather built up again, then get the rest of your neck, applying pressure to that area at the bottom of the beard where your hair is probably thickest and growing in different directions. Going in the direction of the hair growth, start on one cheek and take small easy strokes. Pull your skin tight with your free hand to minimize the risk of cutting yourself. If you are using a straight edge or safety razor, don’t apply any pressure. Let the weight of the razor and your hand take care of that. Any pressure will possibly result in razor burn so best to go easy. The angle of the blade should be at 30°, so close to the skin. Finish the cheek and move onto your neck. Always following the hair growth. Never go against the grain when using a straight edge or safety razor. If the hair at the bottom of your beard grows facing up, then switch direction and shave up with it. Rinse the razor as you go just as you would when shaving with gel or cream. You may have gotten all the hair off of your face but you are only half done. Take your brush and lightly wet your face with whatever lather is still on there. No need to get a good lather up for this step. Go over your face again, but this time instead of going with the grain, go 45° to it. If you hair grows straight down, then this time come at it sideways. This will give you an incredibly close shave and will take a couple of days to grow to where it used to be after one day of not shaving. Use some alum, whether in a block, powder or liquid to stop any nicks from bleeding. This also helps to disinfect the skin to prevent any rashes or infections. If you use a traditional, old school alum block, then wet it first and rub it all over. So the last part of this wet shave guide is to get those pores closed up and the skin tight to smooth out that shave. Splash some cold water on the face to clean off the rest of the lather and cool your skin down. The first time you shave like this, you probably won’t have the angle right and will probably feel some burn that will be relieved by the cold blast of water. Dry your face and then apply some aftershave. Most guys prefer after shave balm as it is gentle and doesn’t sting. A good one will seal the moisture in your skin and keep it hydrated. If you love that brace of an old-fashioned aftershave liquid, then go ahead and feel the burn. The first time you are using a straight edge or safety razor, you should be prepared with a first aid kit,we will explain why in this wet shave guide. I am not joking. This blade is serious and can do damage if you are not careful. If you are careful, then you may only encounter a nick or two. If you do end up with a serious cut, then apply pressure to the wound with a bandage. Just keep it there until the bleeding slows, then put on a Band-Aid the size of the cut. If it is taking a while to stop bleeding, then press an ice cube wrapped in a towel against it to stem the flow. Once you have it done bleeding then apply some witch hazel or some other disinfectant to clean the wound. Be sure to carefully follow this wet shave guide to avoid cases like this. I hope this wet shave guide has helped you to take the mystique out of doing a traditional shave at home. There really is nothing to it if you take your time and focus on every step as you use this wet shave guide. Use the best wet-shaving products you can afford and keep practicing. As time goes on you will get better and it will take less time. Should you do a wet shave every day? At first, I would say, no. Start out with maybe a couple of times per week. Once your skin is used to it and you have the right wet shave technique down, then you can add more consecutive days, of course using this wet shave guide.